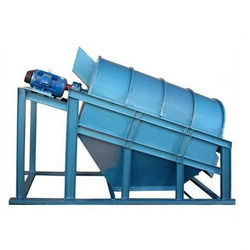 Prominent & Leading Manufacturer from Sonipat, we offer trommel screens for cement industry, trommel screen for municipal waste management, trommel screen for commercial and industrial waste, conveyors / elevators and rotary screens. 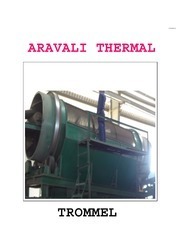 Aravali Thermal manufactures high quality rotary trommels. 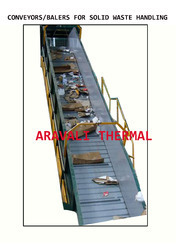 It is used in screening variety of materials with larger capacity and ranges. The trommel are available in multiple screens. It is fitted with suitable size of hoppers. It sorts out different size of materials. It is supported with high grade of steel structure. It has low maintenance and easy to install. With the support of diligent and skilled workforce, we are distinguished as one of the well recognized organization engaged in offering a wide range of Conveyors / Elevators. This Conveyors / Elevators is obtained using the superlative quality of raw material and most advanced equipments in compliance with the industrial quality standards. To meet the specific needs of our prominent clients, we offer our products range as per their specific demands. The rotary screen is convenient for small screening requirements. 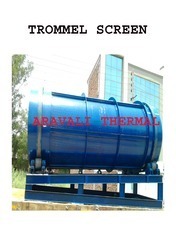 It is a centre shaft type screen with 2.5 to 3 shaft in the center of a 2.5' or 3' dia drum. The shell of the drum is made out of a sheet or woven screen which is perforated with holes for easy flow of screened output. A number of star wheels are provided to hold the shell with the center shaft. Both ends of the shaft are supported by bearing blocks and with the help of gear pinion, small pinion and driving pulley. The screen can rotate with any desired R.P.M. • Withstanding capacity to temperature and heat.